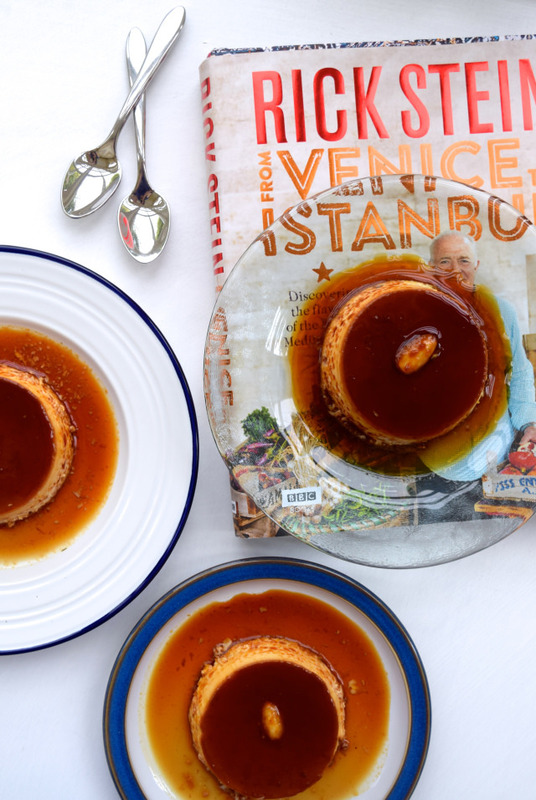 Today I want to share with you one of the latest additions to my cookbook collection in which I have found a few absolute gems:From Venice to Istanbul by Rick Stein. 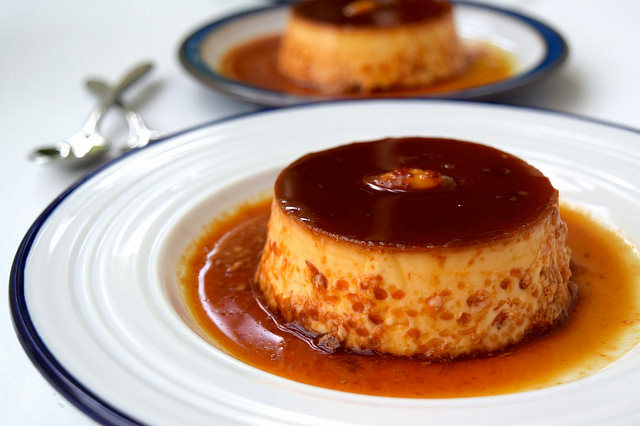 In case you’ve never noticed, I’m a massive cookbook horder, and I spend a lot of time browsing for new titles on The Happy Foodie; a site by Penguin Random House, who publish some of our favourite Penguin, Ebury and BBC cookbooks that features recipes by and interviews by their authors. 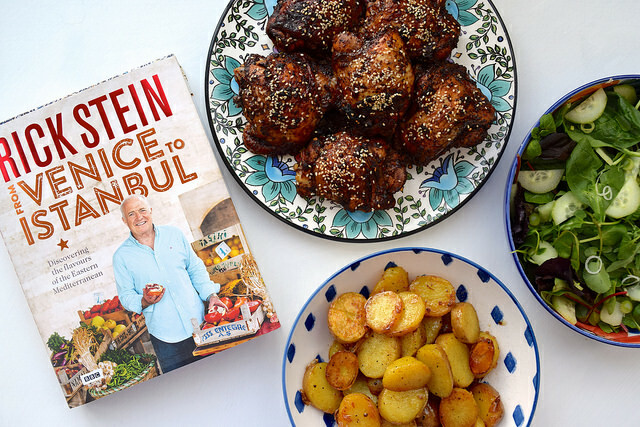 Recently they asked me if I fancied giving my thoughts on one of their new releases for the site, so one sunny Saturday evening I set about creating a mini feast from the book with chicken from Turkey, potatoes from Albania and a cream dessert from Croatia. 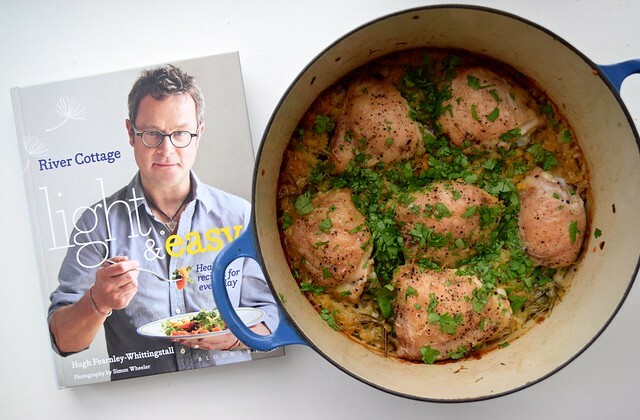 I’ve written a long form piece on the book and the recipes I’ve cooked for it which you can head over to The Happy Foodie to read here. However, I thought I’d scribble a few more notes about why I love the book down here. The photos are beautiful; I watched the show that went with the book, and they really capture the colour, light, and life of the wide area the book covers. 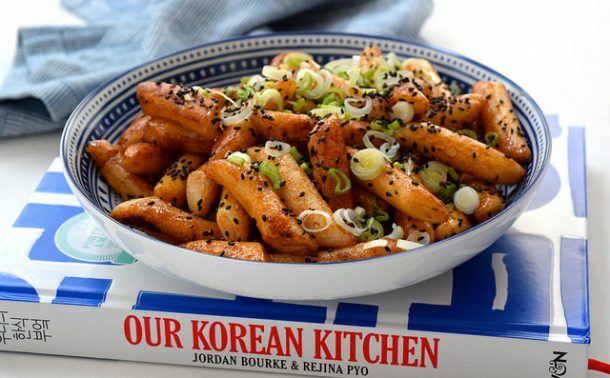 It is also great for people like me, who cook with a lot of Eastern flavours, but tend to incorporate them into more Western flavours from French or Italian cuisine. I love how the book is written (a lot of Rick Stein’s books and programmes make more sense when you know he has the same degree as me: English Literature). 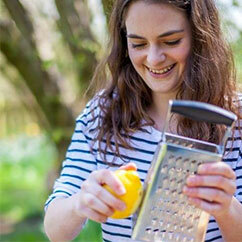 Finally, Rick Stein’s recipes always work. While I really think that you ought to go and buy the book, I really had to share this chicken. 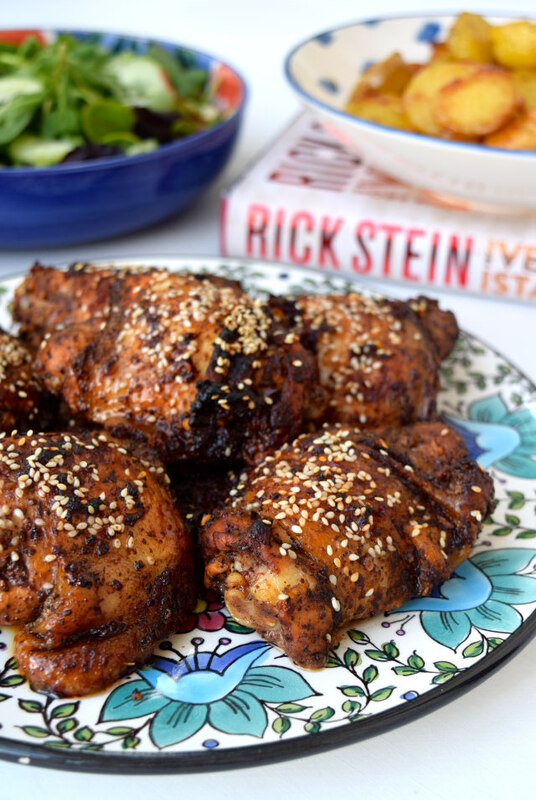 Funnily enough, it is the one recipe Rick Stein highlighted in the introduction to his chicken chapter that he thought was going to be the most popular from the book, and it was the first recipe that jumped out at me when I flipped through it as something I simply had to make. 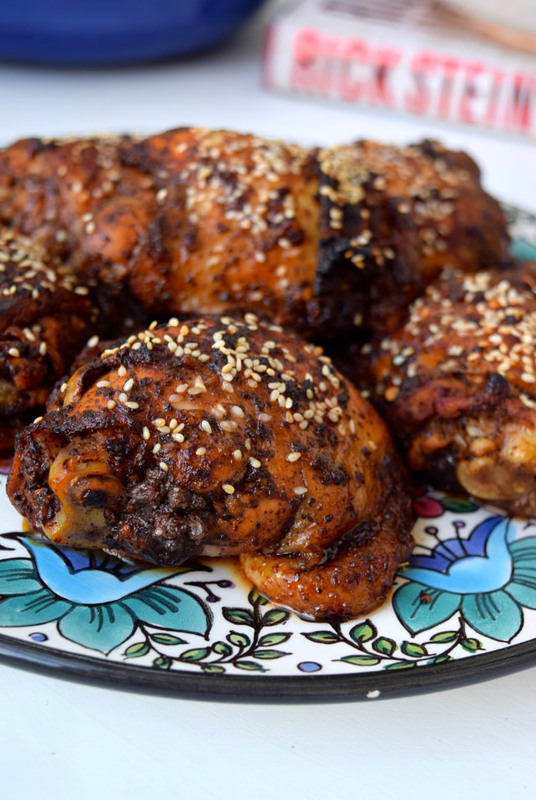 The flavour and colour is incredible, and the only change I’ve made to the original recipe is to switch out the jointed chicken for two thighs per person (otherwise my family would just fight over who gets the thighs!). The marinade works for 3-4 people. 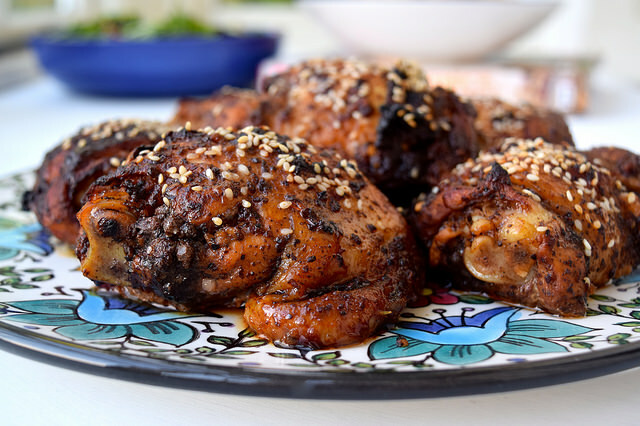 Here is Rick Stein’s Oven-roasted Chicken with Sumac, Pomegranate Molasses, Chilli & Sesame Seeds. 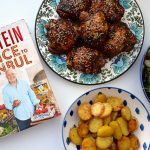 This easy and delicious chicken marinade from Rick Stein’s book From Venice To Istanbul is great as part of a Middle Eastern feast. Combine the sumac, garlic, chilli flakes, tomato puree, pomegranate molasses and sea salt to make a thick marinade in the bottom of a large plastic bag. Add the chicken, push out all the air and tie a knot in top. Massage until all of the chicken is well coated, and leave in the fridge to marinate for an hour. You can leave it longer though, if it makes meal planning easier! Spread the chicken out well over a large baking tray (if you squash them together, they won’t go crisp, golden and glossy). 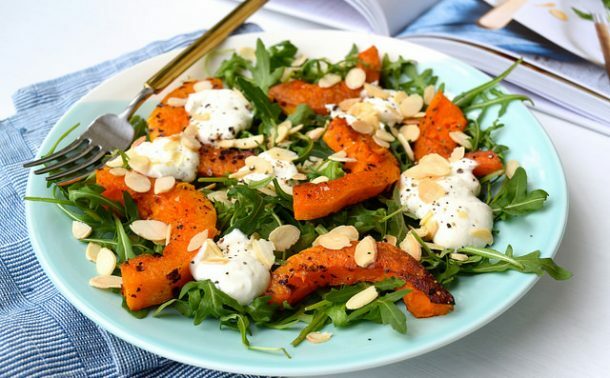 Drizzle a little oil over each and sprinkle with sesame seeds before roasting in a 200 degrees (390 fahrenheit) oven for half an hour. You’ll be able to tell when the chicken is done when the skin is crisp and if you stick a sharp knife into the thickest part of the thigh, the juice that runs out is clear. 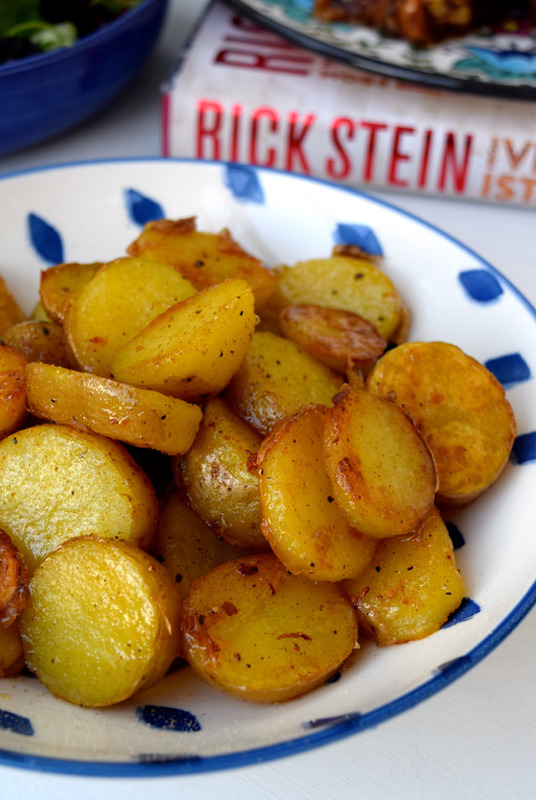 Serve with either Bandit Potatoes (they’re really unique, flavoured with honey and freshly grated nutmeg) from the book and a green salad, or my Giant (Israeli) Couscous with Pomegranate & Pistachios.